The gold rush was written by Bobbie Kalman. 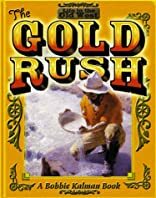 The gold rush was published by Crabtree Pub. Co. 1999; c.